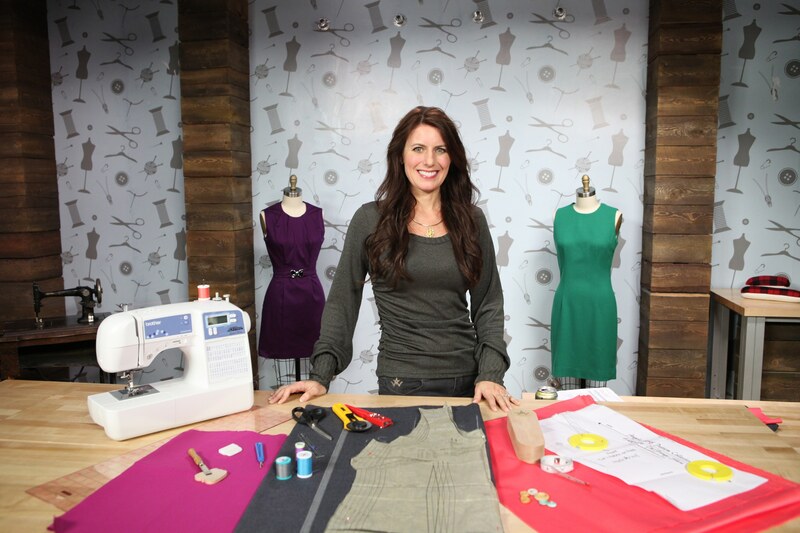 Learn to Alter Ready-to-Wear for a perfect fit with a 3-part Series of Craftsy Classes. Whether you want to learn to alter for yourself or thinking of making money sewing for others, these classes are for you! Take the fear out of sewing and designing with knits as you sew along with fashion designer & sewing expert Angela Wolf. Downloadable class resources including supply list and shopping resources. Discounts for Angela Wolf Patterns and knit fabrics. Discussion area for interaction and answers to your questions from instructor Angela Wolf. Learn about choosing knit fabrics and patterns, negative ease, general vs. actual measurements, ideal sewing machine and serger stitches, stabilizing seams, hemming and so much more. Join Angela Wolf for a full course on sewing knit tops. I’m not a beginner but got a lot of tips and tricks out of this course….it sure makes my life easier. There’s something for everybody…..I can now cut the right way, sew with no pins, handle slippery and curly light weight knits etc etc…..I just loved this course!!! I especially appreciate the fact that there are no brand specific stiches and stuff so you can just use any machine you have. I recommend this fantastic course for anyone who want to tackle knits! Thanks Angela for putting in so much time and effort into these videos! Nothing but praises for this class!! I have been sewing over 40 years and I consider myself an advanced seamstress but there are so many tips and tricks in this class that I have never been aware of.. It is worth every penny and more. I am sure I will be watching this a lot more than once!! Sew Confident: Essential Techniques for Beginners! 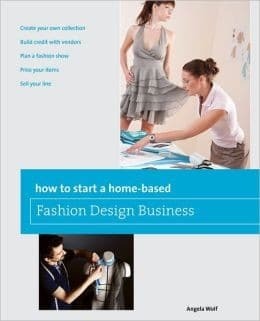 Add to your bank of basic sewing skills so you can conquer more complex projects with confidence! Join me to build the bridge of essential techniques that will take you beyond beginner sewing. During class, you will learn how to work with patterns, choose fabrics and achieve perfect seams with consistency. Once you’re seaming with success, I will guide you step by step through some fabulous finishing techniques that will keep your projects from fraying, and show you how to use under-stitching, topstitching, and stay-stitching for extra polish. You’ll even find out how to shape your projects for a flattering fit, add beautiful buttons and confidentially install invisible zippers! Learn to Alter Ready-to-Wear for a Perfect Fit with a 3-Part Series of Classes. Ready-to-Wear shouldn’t be “ready-to-swear”. Learn to make your own alterations to store bought clothing including marking, shortening and lengthening hems, altering waistbands, replacing zippers, tapering tops, hemming jeans while keeping the original designer hem, altering sleeves on a lined jacket, and much more. Click Here for Details! This class offers more advanced techniques than part 1, including some pricing ideas for the business minded. Learn to alter pants, make flattering adjustments to the behind and taper legs for a look you will love. Learn to let out and extend waistbands and discover fixes for uneven hips. Master dress alterations for a petite waist and demystify hemming from the waist. Diagnose and fix a zipper that is bowing in the back, replace a zipper in the front fly and adjust a hidden zipper in the side seam. Plus hem cuffs for both women’s and men’s shirts with confidence. Learn the tailoring skills you need to perfect the fit of your entire wardrobe. Click here for details! Upgrade ready-to-wear and home-sewn jackets with fitting lessons. Discover the secrets of ready-to-wear jacket construction as you go inside the seams and find out how to tell whether or not a jacket can be altered. Use the petite adjustments to remove side-seam wrinkles. Raise shoulders for a perfect seam placement and jacket sleeves for a better fit through the arms. Take in side seams, center-back and princess seams for a better fit and slenderizing look. Hem lined jackets from the bottom for the length you want. Plus, hem sleeves from the shoulder to preserve buttonholes or embroidery decorations. Get comfortable identifying fit issues and tailoring jackets to look and feel custom made. Click here for details!